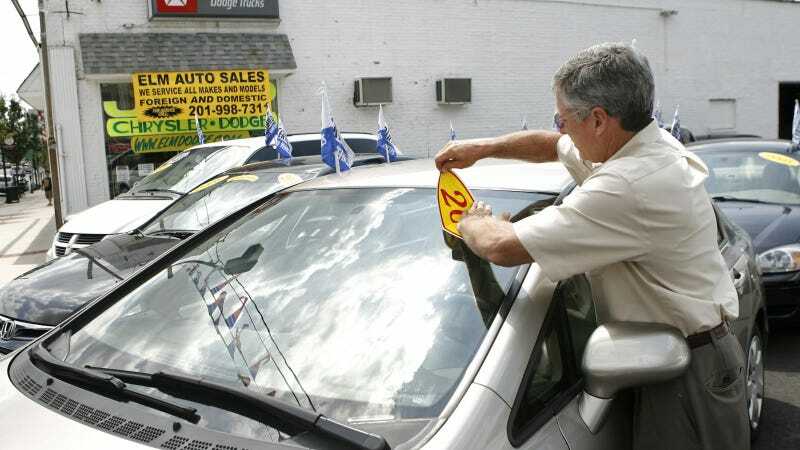 On Wednesday, New York became the first city to make it illegal to sell a used car with an open recall. The city's 800 used car dealers will not only have to fix any recalled car before sale, they will also have to fix cars that they sold, but didn't repair. According to a report in the Detroit News, the law was enacted as the result of an investigation by the New York Department of Consumer Affairs Commission, who sent subpoenas to 200 used car dealers in the city. "forcing them to provide their policies on selling unrepaired recalled cars, to reveal how many such vehicles they have sold in the past year, and whether the consumer was notified at the time of sale." In order to put this new law into effect, the city is utilizing an ordinance that requires dealers to certify that their vehicles are "roadworthy." The objective is to prevent dealers from misleading car-buyers when it comes to the safety of whatever vehicle they are buying. "More cars have been recalled in 2014 than any other year on record," said Menin said. "We're not going to wait for tragic statistics to demand that dealers repair these ticking time bombs." Other states like California have considered similar bills. Even the Obama administration tried to pass a law in April that would prohibit the sale of used cars with open recalls. Both were defeated, mainly due to arguments that the legislation's language was too broad and the fact that it would prohibit the sale of vehicles even if the open recall had nothing to do with passenger safety. It appears that the New York law makes no distinction between recalls that impact safety or other minor issues. As someone who works with both car-buyers and dealerships everyday, this legislation is going inconvenience consumers more that help them. We already know GM dealerships are back-logged when it comes to repairing cars affected by that massive recall. Now used car dealerships may be less likely to take trades with open recalls, or offer less for them due to the added hassle. Also, because areas outside of NYC are not subject to the law, there is nothing stopping these used car dealers from moving these cars to auctions to be sold elsewhere. Finally, given the hundreds of thousands of recalled cars in the used marketplace, a sizable percentage of the used car inventory within the city will be unsellable for weeks or even months. This is going to make it more difficult for NYC residents to purchase a pre-owned car locally.